The newest collection from Illamasqua, Metamorph, launched yesterday for Spring and they're definitely onto a winner with this one. It's filled with soft hues and brand new ranges for Illamasqua, subtle but I think this collection overall really makes an impact. The collection includes a new mascara, Masquara Gain - £20, it's volumising, lengthening and defines the lashes. But what I really love about it, is that it naturally tints the lashes due to an ingredient included from walnut. Having very blonde lashes myself it's a pain when I forget to put on my mascara, so the idea of having a mascara that tints my lashes for me is like the best thing since sliced bread. 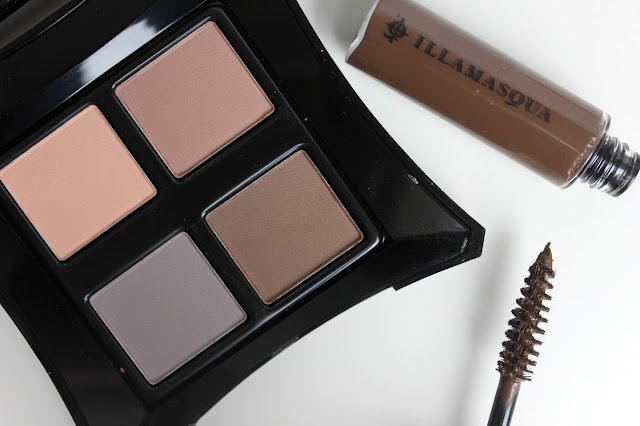 However I was so excited over the rest of the collection, that I forgot to pick one up for myself, so I'm going to do a dedicated post to the Illamasqua Masquara's. There are also the two new Beyond Powders - £32, which look like two of the prettiest highlighters ever. Sadly though they haven't yet been released and will be launching on the 21st of April. The Vital Palette is made up of four of the most gorgeous subtle matte shades I have ever laid my eyes on. It includes Bubbles a warm peach, Envision a warm brown, Drop a deep brown and Trace a cool grey. Illamasqua shadows are never a disappointment when it comes to pigmentation, they blend beautifully too and are just effortless. 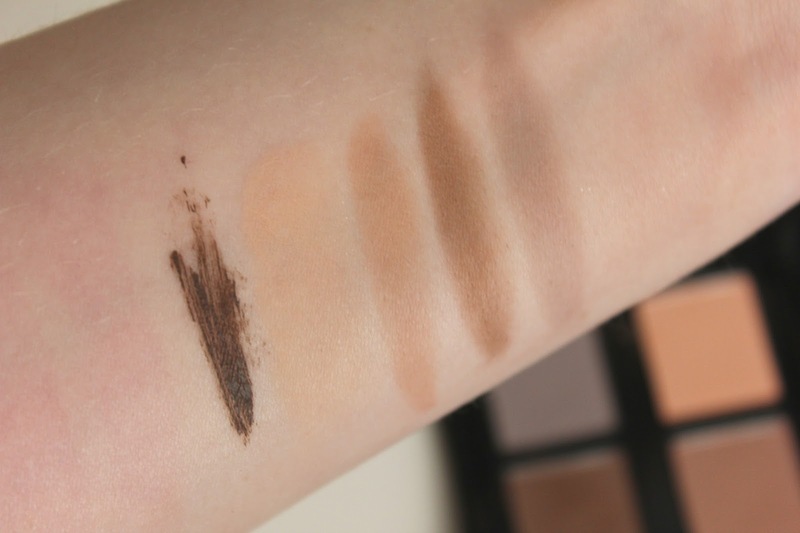 There's so many different combinations you could make from this palette and It easily adds definition to the eye. Now this has actually shocked me, in a good way! To a point where I sat at the mirror for half an hour last night staring at my new and improved brows. I have never been let down by an illamasqua product and it's not that I was expecting to be let down, but me and brow gels don't get on. For the simple reason of there was once a brow incident that resulted in me losing half of one. So personally I never found a brow gel to thicken up my brows enough. 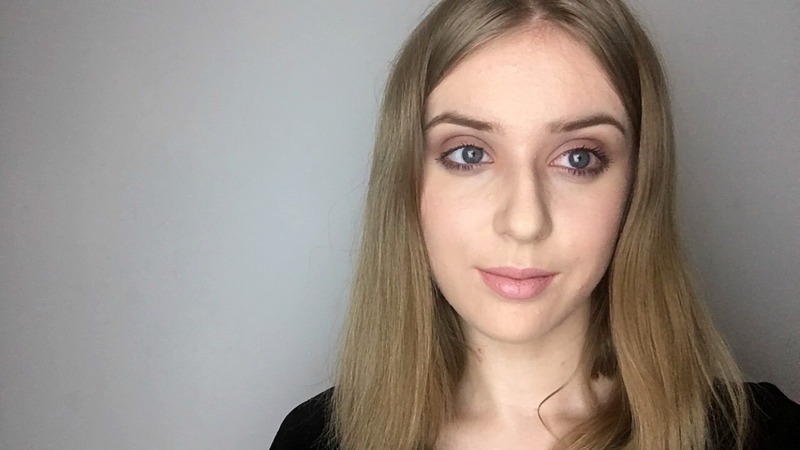 However Brow Build is the most incredible brow gel I have ever tried, not only did it add colour to my brows but I've never seen them so thick. The gel includes little brush on fibres which helps to thicken up the brows and fill in any sparse areas. It's available in four shades; Amplify a deep slate grey, Thrive a medium brown, Flow a warm brown and Rise a soft beige. I personally have Thrive as its practically the equivalent of Thunder in the Brow Cake and Strike in the Precision Brow Gel. 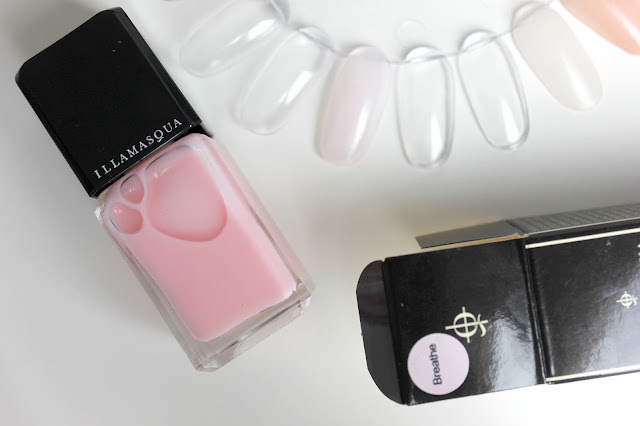 The Nail Veils are a new concept for Illamasqua, they're very sheer polishes, as you can probably tell from the swatch, it gives such a subtle hint of colour. They're also unlike any other polishes Illamasqua have released because they have been formulated to condition the nails and protect them. It also contains anti oxidants to prevent any staining to the nails, there's two shades available which are Breathe the pale pink and Bamboo a pale peach. I have on the Thrive Brow Build, as well as the Vital Palette. I popped the shade Envision all over the lid, with Drop through the crease and Bubbles in the inner corner. I also ran a little bit of Trace under my lashes as well. I also have on Skin Base Foundation, Glamore Lipstick in Rosepout, Powder Blush in Unrequited and the Gel Sculpt in Silhouette. 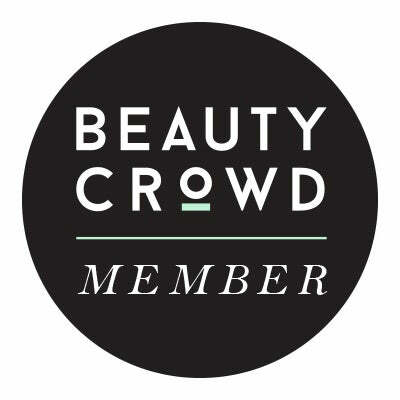 This is usually the part where I recommend one product from the collection that you really need to check out, but I honestly cant decide. It's one of those ones that you really need to have a snoop through it all, it's definitely won my heart. I neeeeddddd all of this! 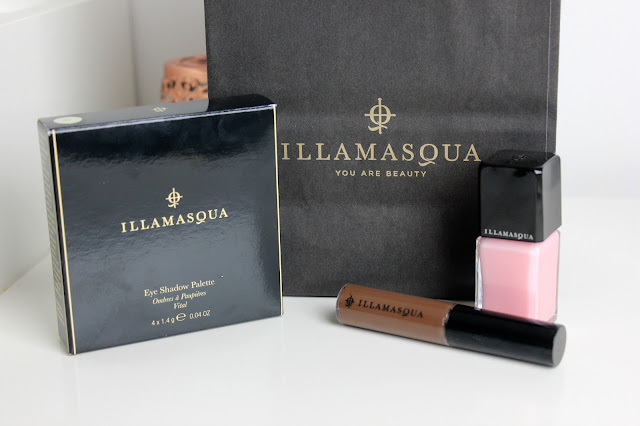 Illamasqua is one of my fave brands! Ive got their clear brow gel and its devine, so I cannot wait to try brow build! Your so lucky to have so much of it! Awesome post. 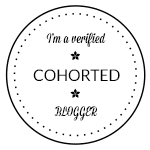 keep sharing such a wonderful blog..... Dot Net Training Institute in Chennai | Dot Net Training Institute in Velachery.